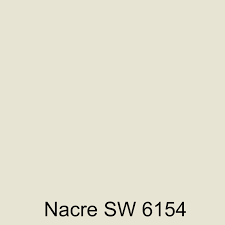 Sherwin Williams Nacre is what our homeowners had on the trim throughout their house. 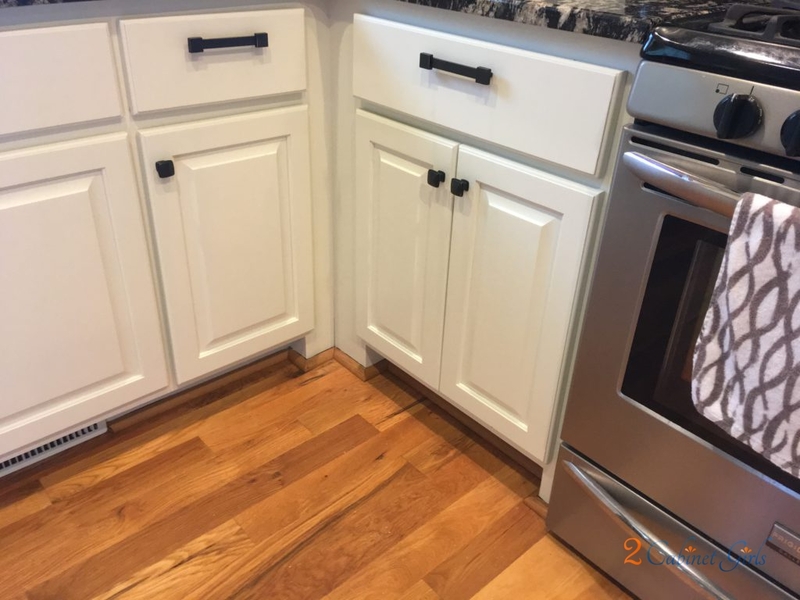 So it made total sense to use it on the kitchen cabinets as well. 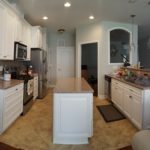 This is a great example of how using the same color continuously throughout the house helps tie all the rooms together and make them flow. 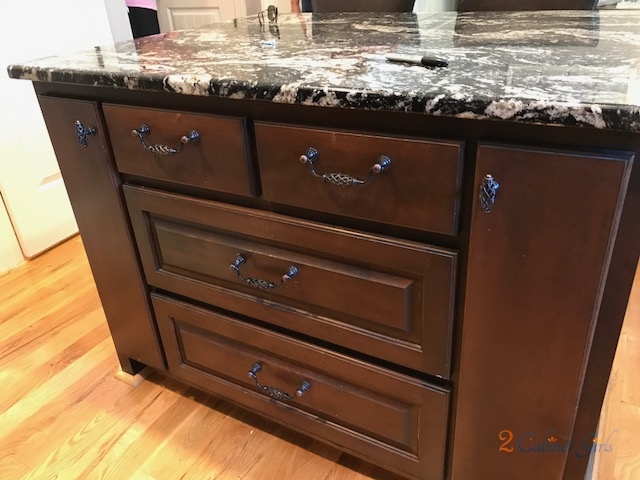 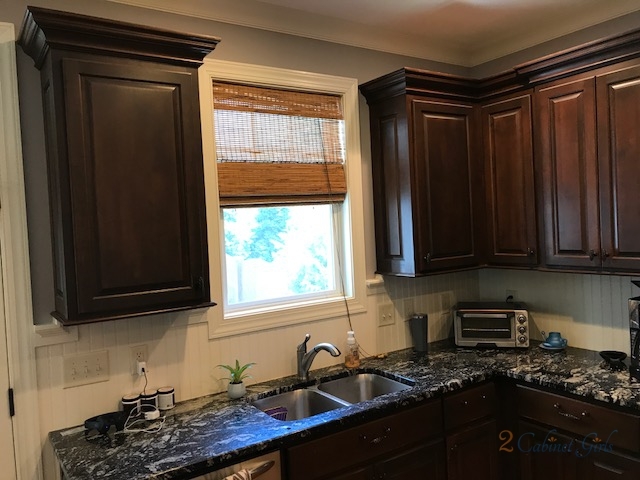 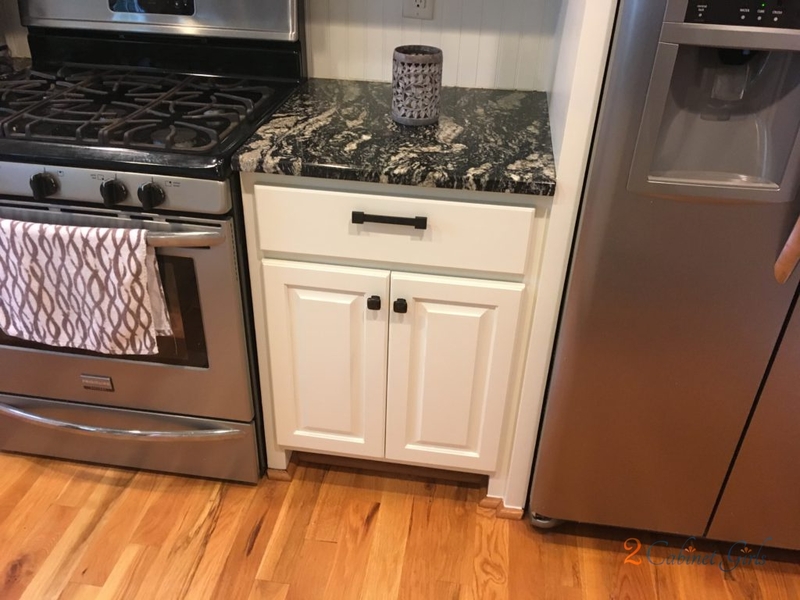 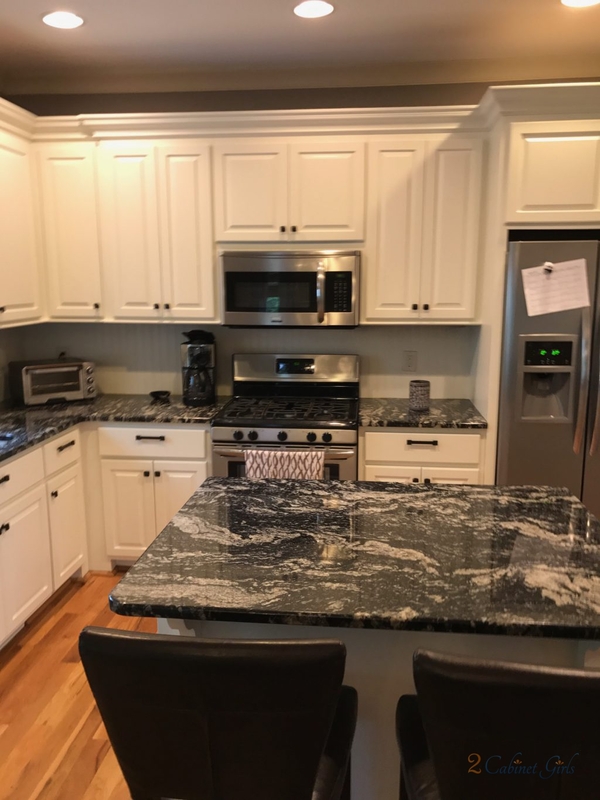 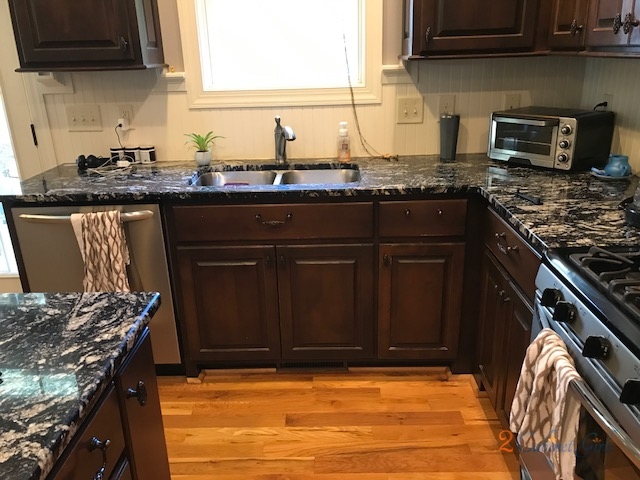 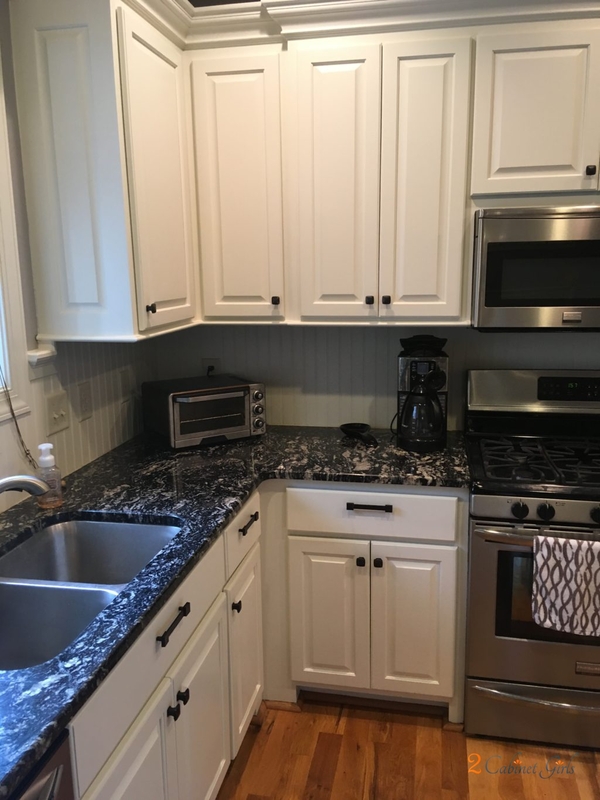 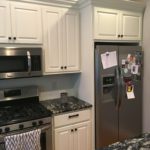 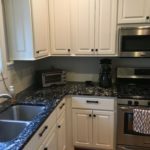 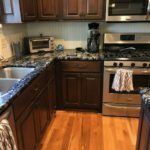 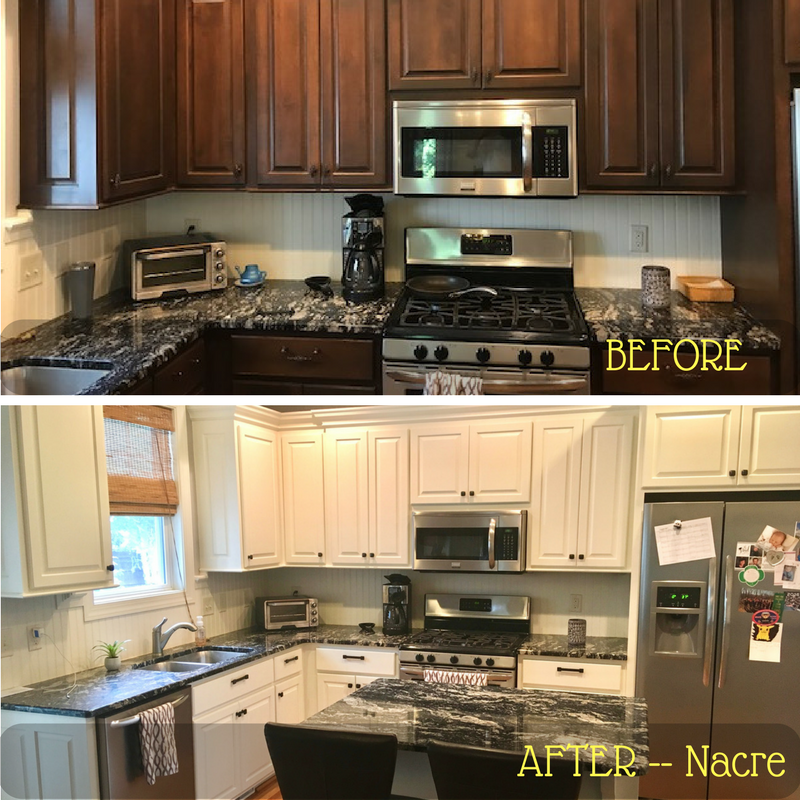 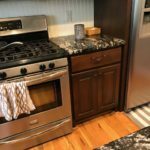 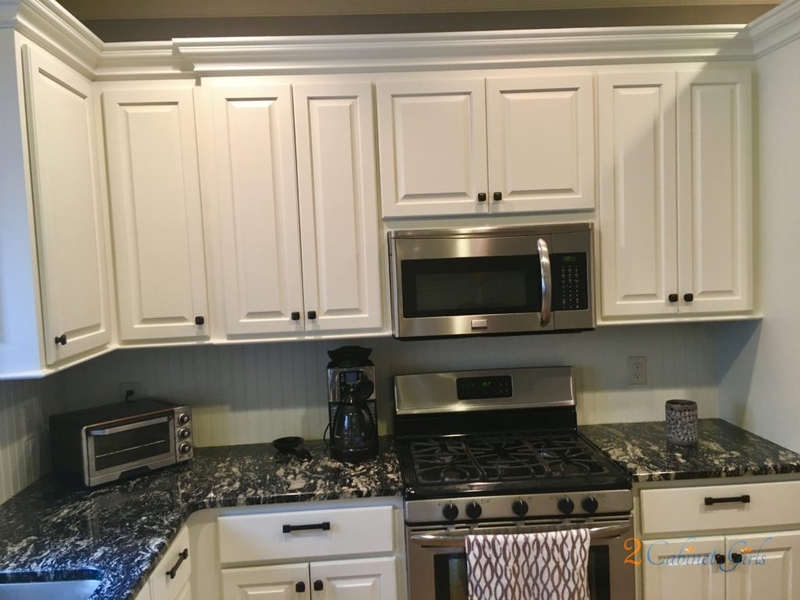 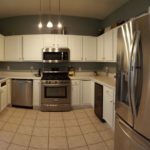 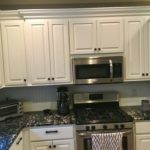 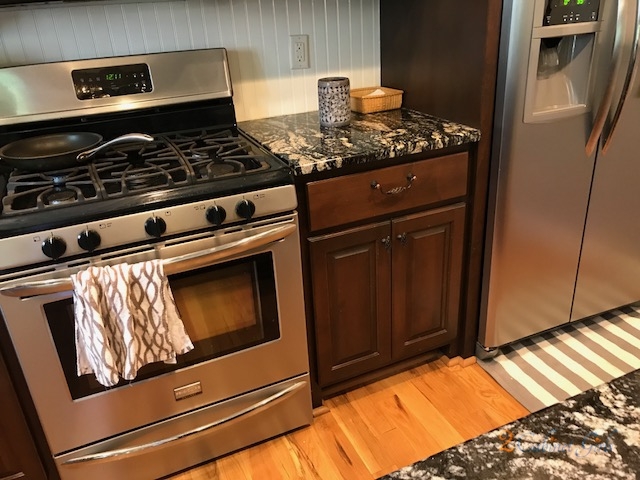 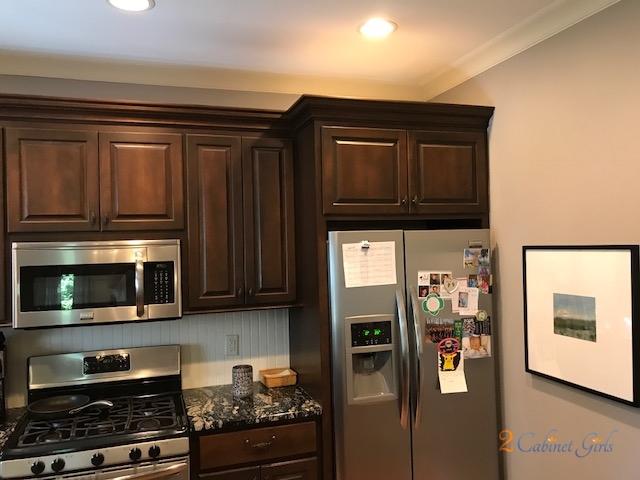 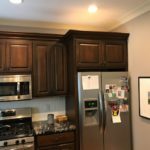 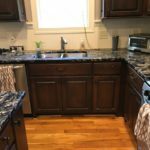 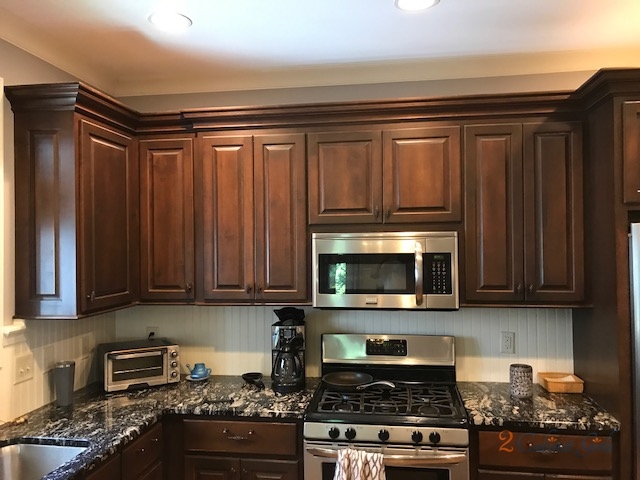 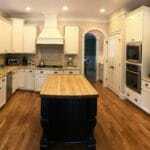 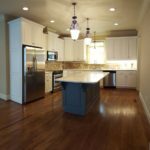 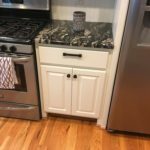 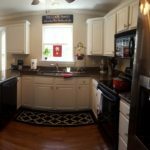 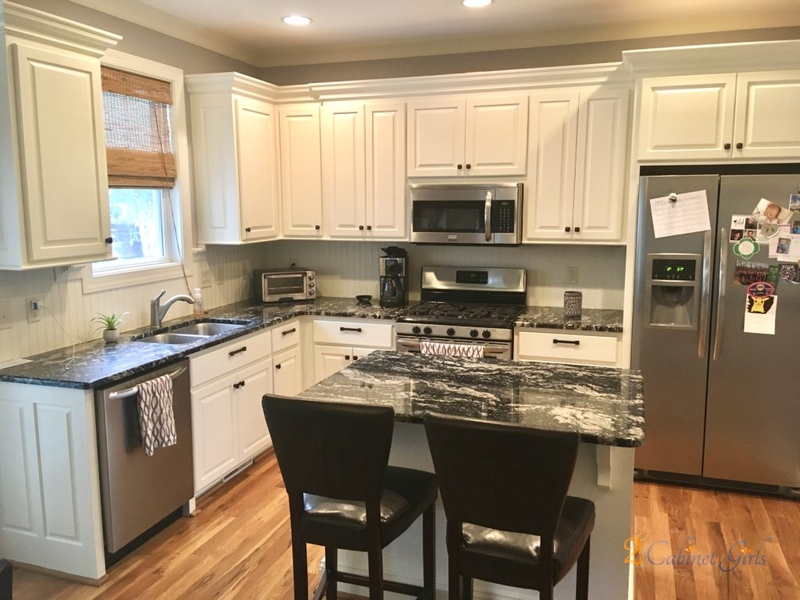 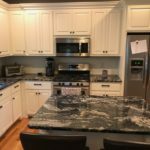 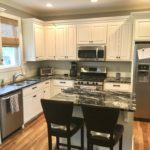 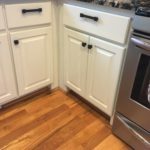 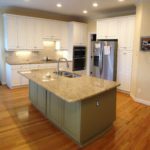 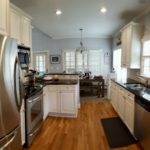 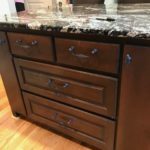 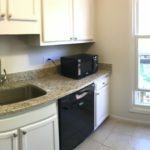 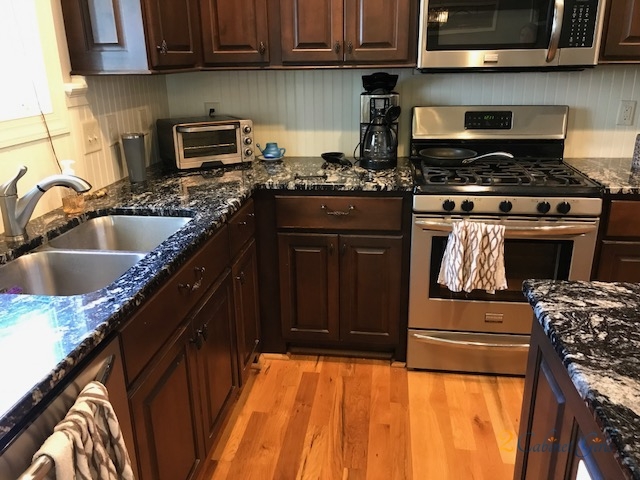 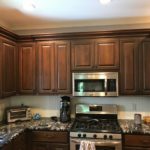 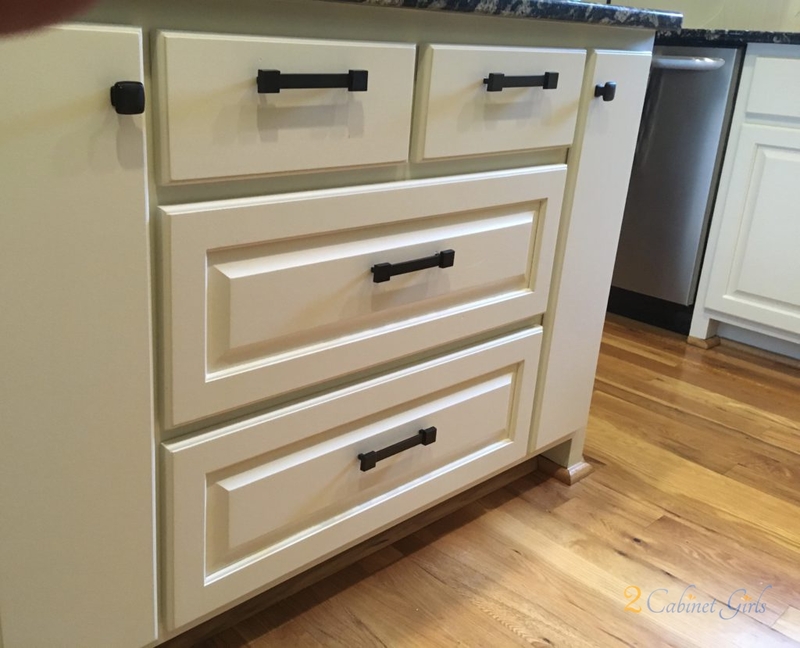 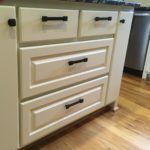 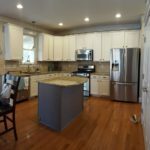 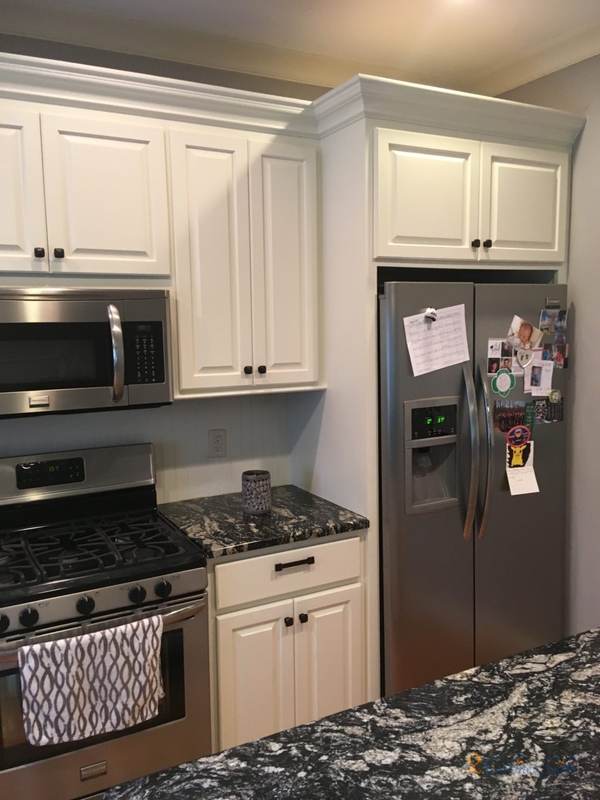 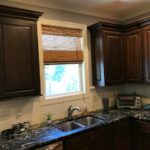 The color also helped make the dark granite counters really stand out and act as a feature of the room, rather than blending into the background.